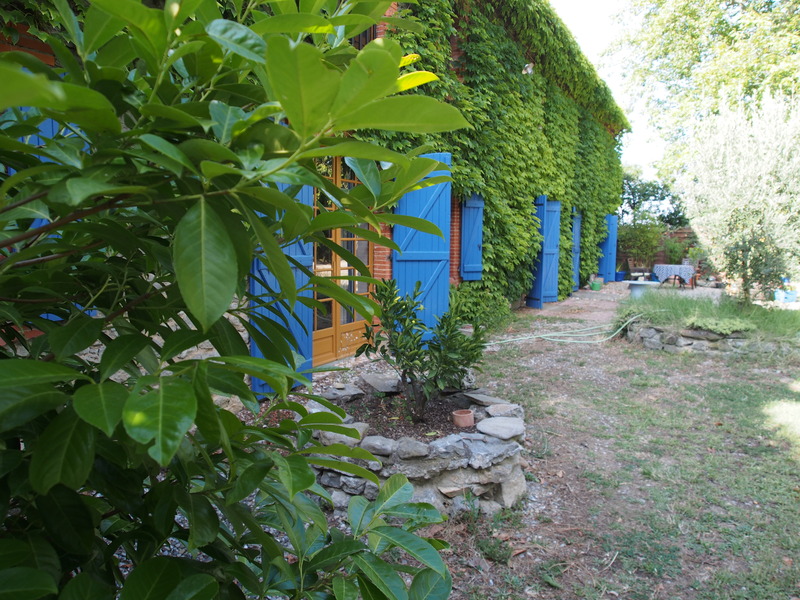 At the end of the last blog I left you all in Saissac. The fact that we I mentioned we had a car came after a sojourn by Connie and I cycling the Canal du Midi and Sue rushing off to enjoy the decadence of Berlin. Connie and I rushed off to join our friends Dave and Leslie on bicycles rented from Relax Bike Rentals in Beziers. 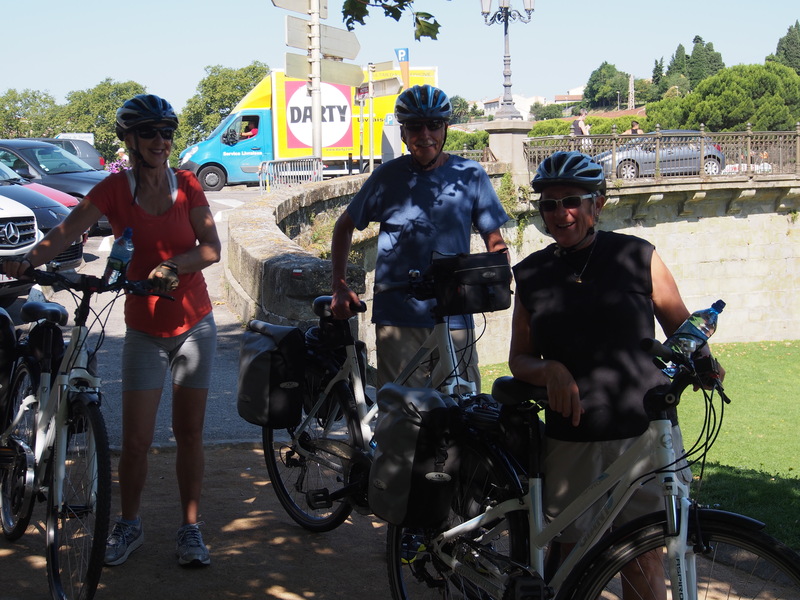 The bike rental agency provided us with great bikes for the Canal du Midi path. They were equipped with bike bags for the rear racks and front handlebar bags. 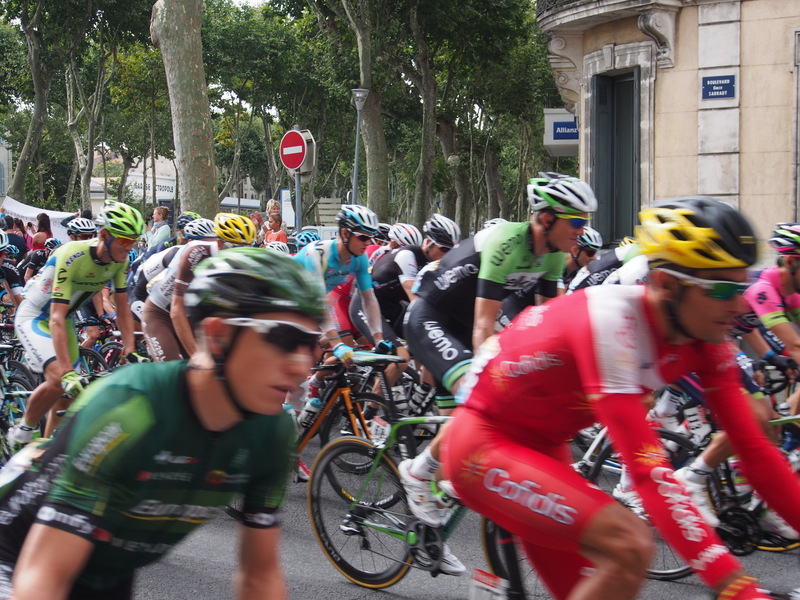 They were delivered to Carcassonne where we were awaiting the start of the next leg of the Tour de France. No, we were not renting the bikes to join the Tour de France but rather to do the Tour de Canal du Midi. We just happened to be in Carcassonne the day the Tour de France was in town and in the morning cycled right outside the apartment Dave and Leslie rented as they were heading out-of-town and down to the Pyrenees. The next day we headed out of Carcassonne at a slightly slower pace than the Tour de France and in the opposite direction choosing the Canal du Midi instead of the uphill contours of the Pyrenees. The first day of our trip we were trying to take it a little easy. New saddles to try to get used to and stretching of those muscles to get the right rhythm for cycling. We didn’t carry anything to record the kilometres cycled but believe the first day we managed to cover about 40km. Certainly no marathon. According to the Google map above it should have taken us 1 hour and 6 minutes. However, that’s if we had followed the main road rather than the blue squiggly line that shows the Canal du Midi. What it also doesn’t show are all the sites along the canal such as the Caves, the locks themselves, the small bistros and the fields of sunflowers. We actually took about 6.5 hours to cover the distance and ended up at a wonderful farmhouse out in the middle of a vineyard. I’m disappointed you didn’t join the Tour de France but your tour does look more enjoyable.